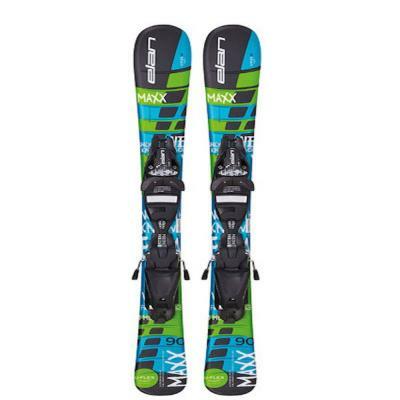 The Elan Maxx QT Junior Skiboards with Adjustable Bindings make skiing as easy as walking. The Maxx QT skiboards are 25% more flexible than the typical benchmark thanks to the U-Flex technology making for quick transitions to the edges. An early rise rocker, combined with the lightweight Synflex core and Full Power Cap construction enables kids to make effortless smooth and easy turns for more fun on the snow. NOTE: These are very slightly used but no apparent marks, chips or scratches. Excellent condition. Look almost new. Fresh hot wax. 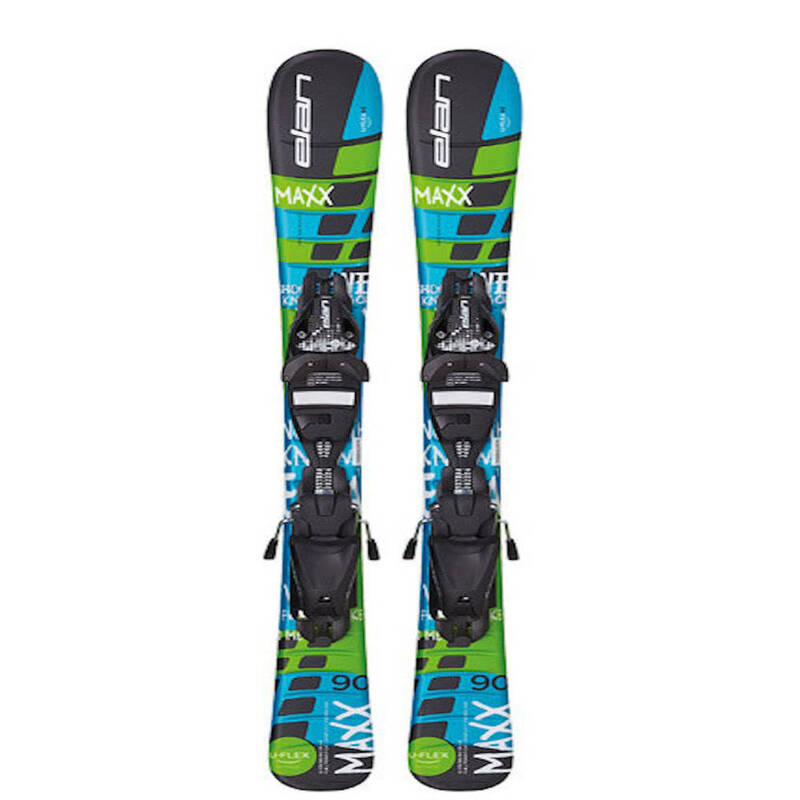 In short, these Elan Maxx QT Junior Skiboards with Adjustable Bindings make skiing simple and fast to learn, providing more ease and freedom during the first approaches to the snow. Works for kids of all ages as long as boots fit the bindings. Give them a fun time from the beginning is our philosophy. 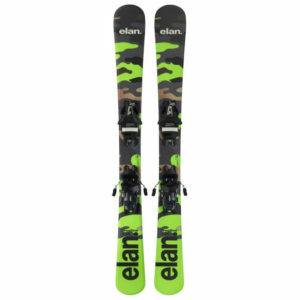 Elan 4.5 Bindings: DIN .75-4.5. Boot size sole length: 195-263mm. Approx. Junior 7 – Adult 4 US. Learn more about teaching your kids to ski/skiboard.